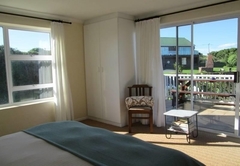 Nell's B&B is a highly recommended Kleinbaai Bed & Breakfast providing accommodation in 2 guest rooms for tourists visiting the Cape Overberg region. 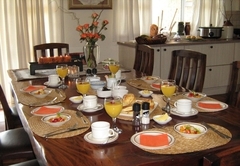 Nell’s B&B is situated in Kleinbaai, in the Cape Overstrand area, also known as the Cape Whale Coast. Kleinbaai is known world wide for shark cage diving and boat based whale viewing trips. 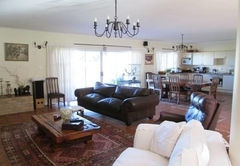 Kleinbaai is a quiet seaside resort only two hours drive from Cape Town. 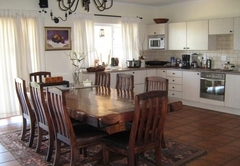 Nell’s B&B is within 100 meters from the sea and 500 meters from the Kleinbaai Harbour. 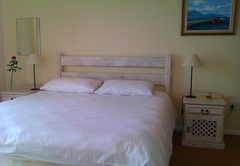 At Nell’s B&B we offer you luxury accommodation in double en-suite rooms each with private sea and garden view balcony. 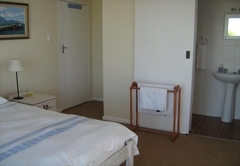 Each room is equipped with wall heater, radio, hairdryer, tea and coffee making facilities and stocked with complimentary fresh rusks, tea and coffee. All bedding and towels are of superior quality. 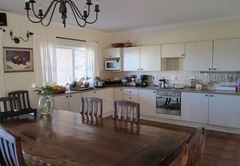 A scrumptious seaside / farm style breakfast with oven fresh home bakes awaits you in the morning. • Shark cage diving, boat based whale viewing trips and restaurant bookings done on your behalf. Cape Nature Conservation allows vehicles on parts of their land between Gansbaai and Stanford. Numerous picnic and fishing spots are available for your enjoyment. We have numerous talented artists in our area. 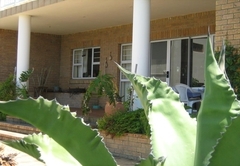 The tranquility and unique attraction of our area has resulted in the influx of painters, sculptors, writers, ceramicists and many more. Beaches in abundance; Kleinbaai has several rock pools and a tidal pool. An endless white sandy beach can be found between Franskraal and Uilenskraal which is ideal for swimming, fishing and long walks. 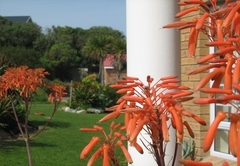 • Hiking trails are found along the coastal line from Kleinbaai Harbour to the Danger Point Lighthouse. 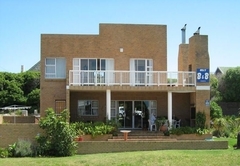 • Museum; Gansbaai has its own unique privately owned “Strandveld” museum. 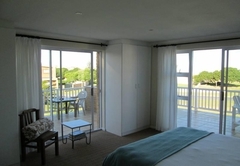 Bedroom has a double en-suite room with private sea view balcony, Wi-Fi, tea and coffee making facilities, hair dryer and complimentary toiletries. 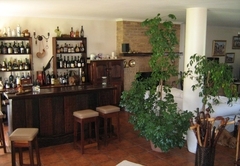 10 Reviews from SA-Venues.com travellers. All reviews are verified. Response timeNell's B&B typically responds to requests in 5-10 minutes. Child policyChildren of all ages are welcome.